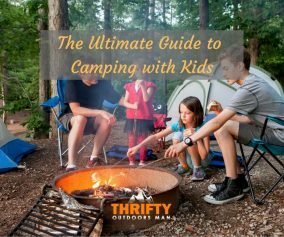 Camping with kids can get stressful for some parents, worrying about what to bring and eat. 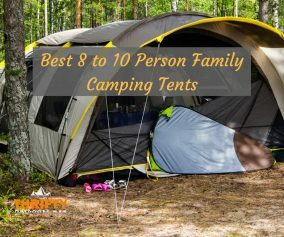 I decided to compile a list of 11 Delicious Camping recipes and treats for kids to inspire parents to go out camping with their kids without having to worry too much about preparing the food. 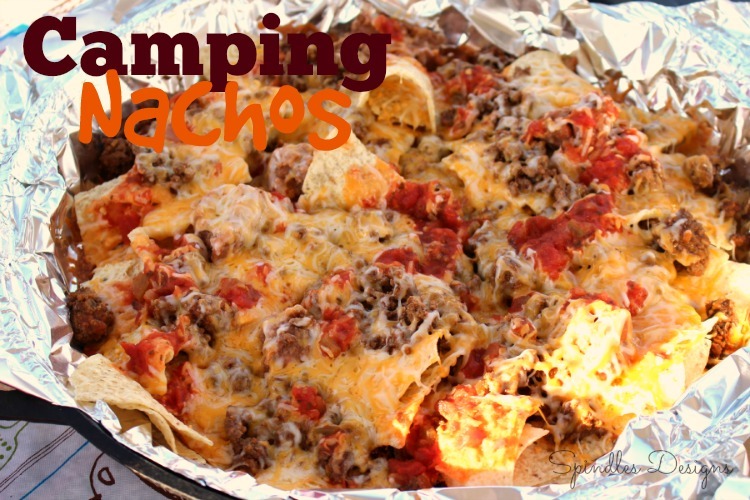 I hope you and your kids will enjoy these camping recipes. If your kids like fries (which is a yes for almost all kids, then they will absolutely like these. Tear off 2 (12-inch) lengths of Reynolds Wrap Heavy Duty Foil to make foil boats. 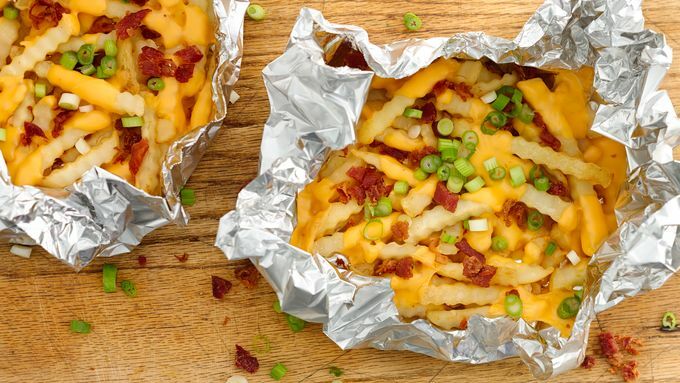 Place half of the fries in a single layer in the center of 1 piece of foil. Loosely fold foil around edges to form a boat, leaving large hole at top to allow steam to escape; repeat with remaining fires and foil. What a good motivation to get up in the morning. Prepare grill for low heat and arrange split English Muffins on a doubled-up tin foil sheet about 24x18 inches. To avoid spills, fold up the outside edges slightly. Whisk eggs, half and half and vanilla in a larger bowl and pour over muffins. To save on time make transportation of your ingredients easier, make your mix at home and pack in cooler. 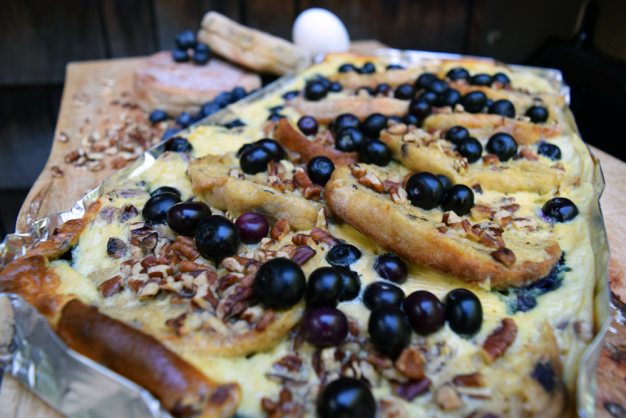 Sprinkle pecans and blueberries on top of English muffins before covering your "campfire pan" with another piece of foil. Place on grill grate until egg is cooked through - about 30 to 40 minutes. 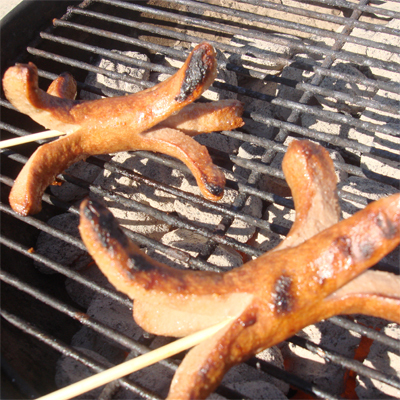 A nice twist to traditional hot dogs which most kids enjoy. Cut the ends of each hot dog into quarters leaving about 1-1/2 to 2 inches in the middle uncut. You want to leave enough uncut to stick the fork in. Roast the dogs over the fire or hot coals in a grill. The "legs" will curl out as the hot dogs cook. A clean way to eat a nice delicious and full meal. Let the marinade soak into the meat and veggies for a few hours. 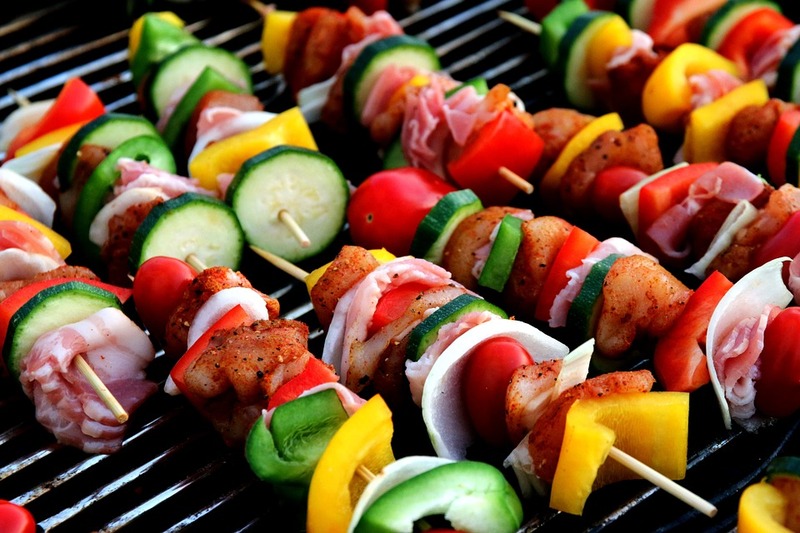 Place the skewers on the grill and cook for about 15 minutes. You can save and eat the oranges for the next few days! 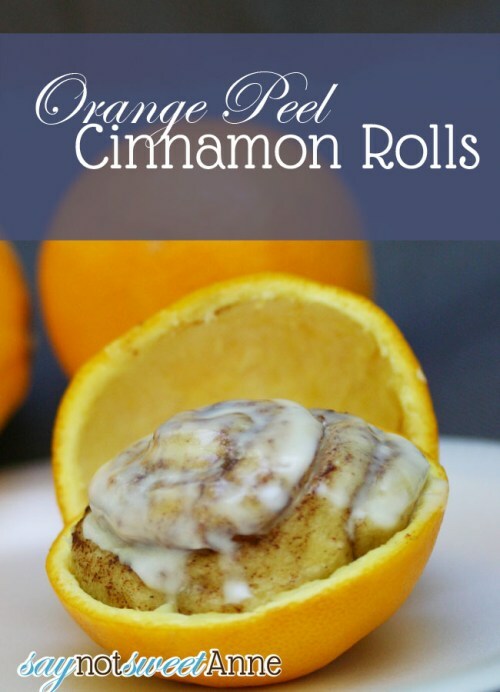 Open the rolls, and place one in each orange. I found it helpful to keep orange halves paired with their mate. It made the next step easier. Top each filled half with its mate. Wrap the peels in foil and put an X on the top. Additionally, you could do this on a grill if you don't have a fire going in the morning. Remove from heat and open foil. Drizzle some frosting on each one and enjoy when cool enough to eat!! That's it! And cleanup is a breeze, since the orange is the plate. You can tell by the empty shells they were a hit! You could sort of taste the orange if you were looking for it, but for the most part they tasted just like at home! 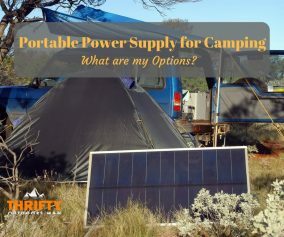 These alone make me want to go camping! 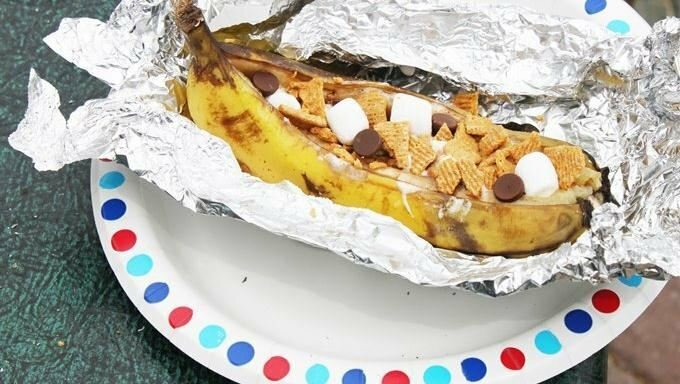 Chop up the bananas and get some marshmallows and chocolate chips ready. Spread some peanut butter on the inside of the cone, then put in the bananas, marshmallows and chocolate chips. Wrap the whole cone in aluminum foil, then put in over the hot coals for 5-10 minutes or so, turning every so often. 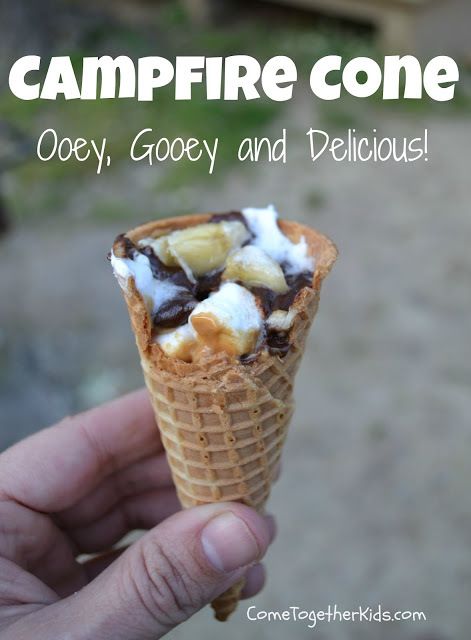 Unwrap your cone, check to see that everything's ooey, gooey, and melted... then dig in and enjoy! What a creative idea, I'm sure everyone will love these. Cut the banana down the middle and stuff with chocolate chips. Then stuff with marshmallows. We only had the big ones and had to cut them in half…the minis would work better. Cook in your pre-heated oven for 5-10 minutes (give or take). 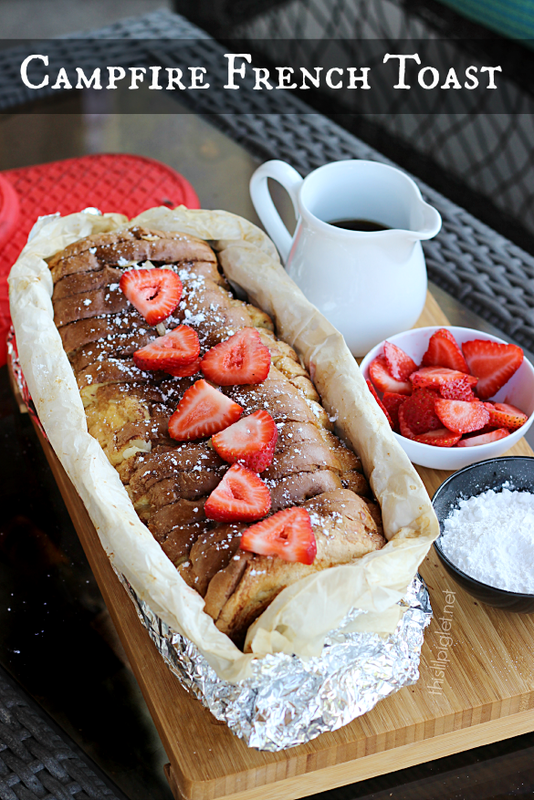 Nice twist to the traditional french toast! 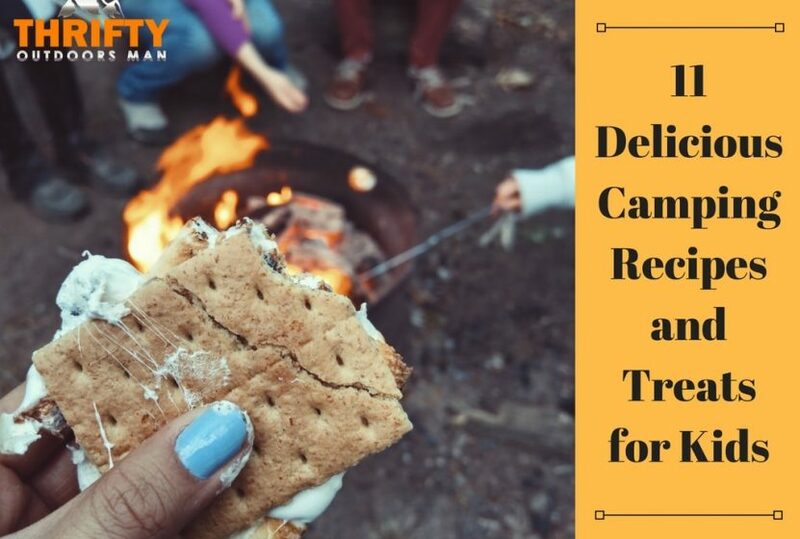 If your kids don't like corn, give it another try on your next camping trip with this delicious recipe. 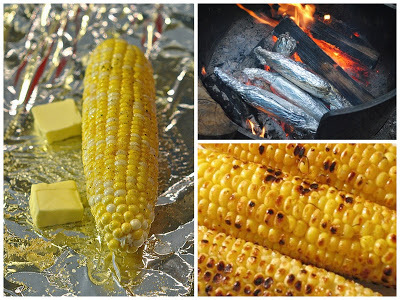 Place one cob of corn on aluminum foil. Add 1 Tbsp butter, salt and pepper. Top with 2 ice cubes. Fold foil and secure tightly. Place the tin foil packages at the edge of the fire. Do not place them directly in the flame. The goal is not to burn them to a crisp, but to roast them slowly with the heat from the fire. Cook on hot coals for about 15 minutes. Turn and rotate often. You can get one of those pie irons on amazon here. 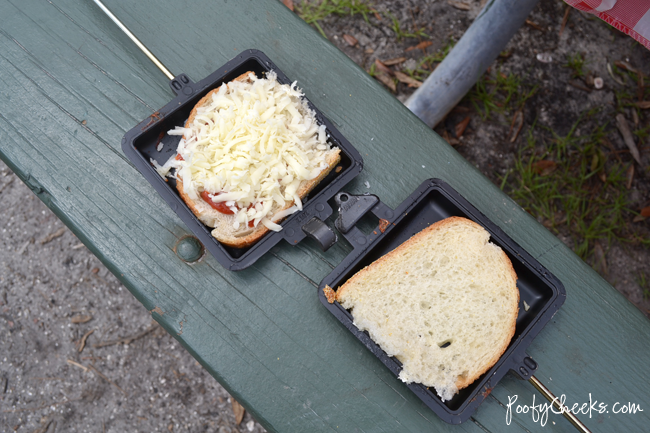 A nice way to share a meal around the campfire. 1. Prepared ground beef before you leave for camping. 2. Line dutch oven or frying pan with heavy duty aluminum foil. 3. Pre heat ground beef and refried beans. 4. Layer tortilla chips, refried beans, ground beef and salsa. 6. Cover dutch oven with lid or foil. 7. Cook on lowest temperature. You might want to try a stove diffuser to help distribute the heat. 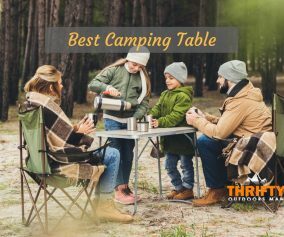 I decided to compile this list of camping recipes for kids to inspire parents with new and creative ideas for their next camping trip. The recipes are simple and perfect for kids to eat without much hassle to prepare the food.